When all plans were in place to bring down Makandure Madush to Sri Lanka, the media is upsetting them by revealing details about the plans,State Enterprise Development, Kandyan Heritage and Kandy Development Minister Lakshman Kiriella said. He said that all plans were in place to bring down Makadure Madush to Sri Lanka , the same way KP was brought down to the country. Though ultimately he was arrested by Dubai police, now there is a question as to whether Madush can be brought down to Sri Lanka State Enterprise Development, Kandyan Heritage and Kandy Development Minister Lakshman Kiriella said. 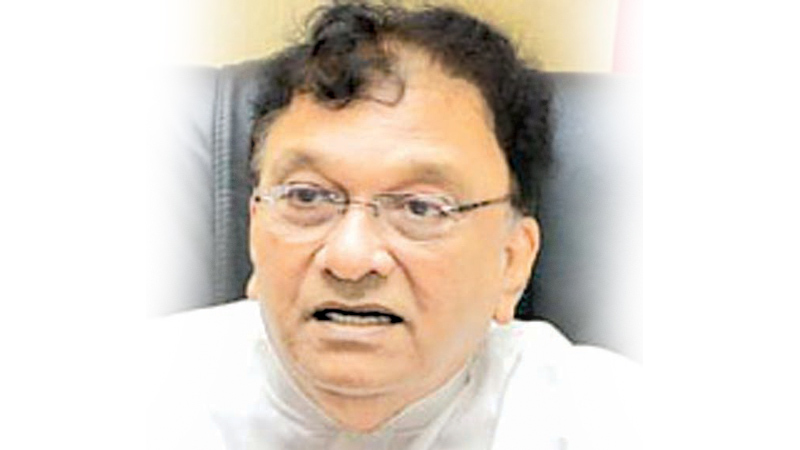 Kiriella said the media published essential as well as unwanted news without concern for the country’s interests and this had made Madush’s extradition to Sri Lanka a problem. The minister said this addressing a meeting which followed the opening of the renovated Mawilmada Community Centre. Kiriella said that if the police in a foreign country arrested KP he could never have been brought down to Sri Lanka. Sometimes, well laid out plans went haywire due to the irresponsible work of certain sections of the media. Ven. Udawattee Nanda Thera, Kandy’s Mayor Kesara Senanayake, Deputy Mayor Ilahi Abdeen, MMC Vipula Ranasinghe, Municipal Commissioner Chandana Tennakoon and several other officials were also present. Minister Kiriella opening the renovated Mawilmada community centre.